With unemployment at its lowest in 50 years, you can't afford to lose your 18%. 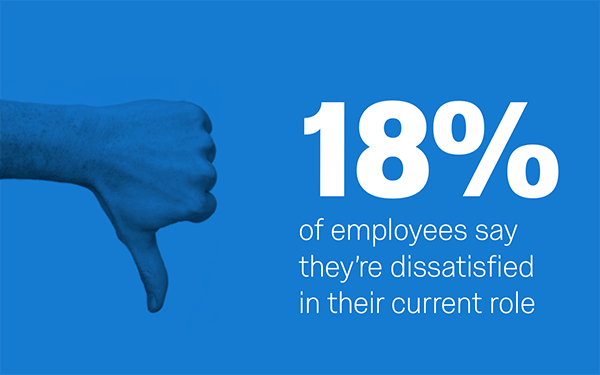 Download our the latest report to hear what over 6,000 employees care most about today. Thank you for downloading the State of Play Report! Based on our bi-annual research into the employee experience for over 6,000, State of Play shows how US employers are doing when it comes to improving the employee experience. Working with Qualtrics Research Services, we asked people about their job satisfaction, desire to go to work and intent to leave as well as key driver such as how they rated their work-life balance. The results show the US is leading the way globally when it comes to the employee experience. Despite the great results, there’s still plenty of variance by sector as well as different cohorts of workers from those just starting out in their careers to those who feel stressed and overworked. The findings provide plenty of insight into the current state of play and uncover some key areas employers in the US can focus on to improve the experience for their employees.